Julie Morgan saw the environmental hazard in her Moore County hometown created by yesteryear’s textile mill technology, and she saw the industrial materials that supported it. She hopes the contaminated remnants of the crumbled Robbins Silk Mill lead to preventive studies on what advocates hail as an industry of tomorrow — the solar installation boom. North Carolina now ranks behind only California for installed solar electric capacity. Like others, Morgan is worried whether sufficient research has been done on possible harmful materials, substances, and impacts — known or yet to be learned — on the land and water. She decries the lack of state regulations to govern decommissioning of the facilities and the safe disposal of the solar panels after they wear out. Morgan has opposed two Cypress Creek Renewables solar plants — one already built just outside of Robbins’ town limits, and another approved in its ETJ district in January — on environmental safeguard grounds. “What is your decommissioning plan? If this company bellies up, who is responsible financially?” she said. 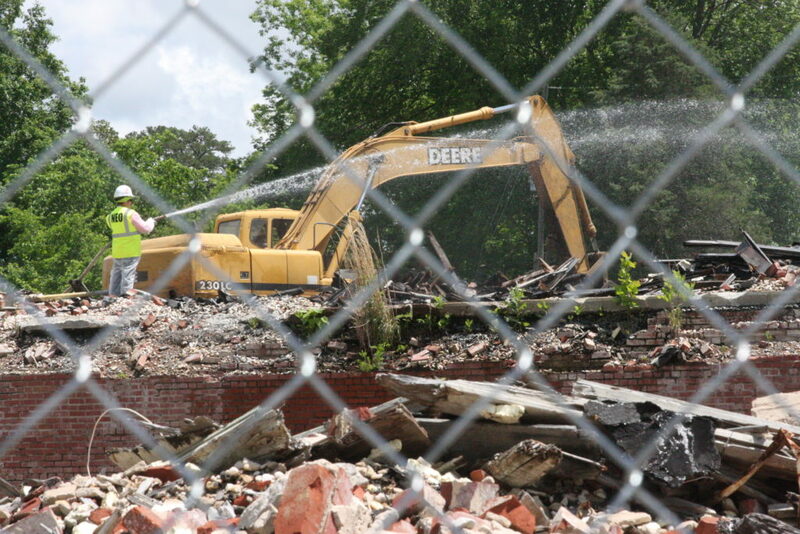 Morgan doesn’t want to see the town suffer a similar blow as when the iconic textile mill, where former U.S. Sen. John Edwards worked as a high school student — and later announced his run for the presidency — burned to the ground in 2008. Asbestos and chemicals contaminate the mounds of debris from what was once a sprawling industrial plant built in 1924. Other hazardous materials might be present inside the security fence as well. The site is now the subject of a brownfields cleanup by crews in double-lined protective suits. Their contract is paid with federal Environmental Protection Agency grants. State Rep. Chris Millis, R-Pender, and Rep. Jimmy Dixon, R-Duplin, share Morgan’s concerns over the dearth of research about potential hazards from solar installations coating 37,000 acres of North Carolina. Dixon introduced House Bill 319, authorizing a state Environmental Review Commission study of decommissioning and safe disposal issues. Millis is lead sponsor of House Bill 745, which requires proper decommissioning of utility-scale solar plants after they close, reclamation of the land to its original condition within two years, and posting financial guarantees to ensure the work gets done. Only five states require a decommissioning plan, said Steve Goreham, a climate change and energy expert, and author of two books. “They don’t have any rules. They just require a plan,” Goreham said. Solar industry advocates strenuously resist the call for statewide regulations. Some insist their contracts guarantee they’re responsible for end-of-life considerations. Solar lobbyists say more than 50 counties have adopted a solar development ordinance that covers decommissioning but acknowledge it is an unenforceable template. “As regulation-happy as California is, it does not require a decommissioning bond for solar facilities or any statewide permitting scheme that is being contemplated here,” solar lobbyist Alex Miller said during committee debate on Dixon’s bill. Solar lobbyists say much of the material in solar facilities can be recycled to recoup cleanup costs or safely disposed of in landfills. They try to placate concerns by assuring that market forces eventually will determine how to fill a present void of abundant options. But the industry’s position on that is unclear. “We have not as a group taken that up,” said Michael Brinchek, vice president of the North Carolina Chapter of the Solid Waste Association of North America. Travis Ward, president of the Recycling Association of North Carolina, did not return repeated calls for comment. Goreham said there’s “a fair amount of value” in recycling solar materials, but it doesn’t come close to cleanup costs. For example, he said, a 3 megawatt project in Sacramento County, Calif., cost owners $220,000 to clean up even after they got $375,000 for recycled materials. 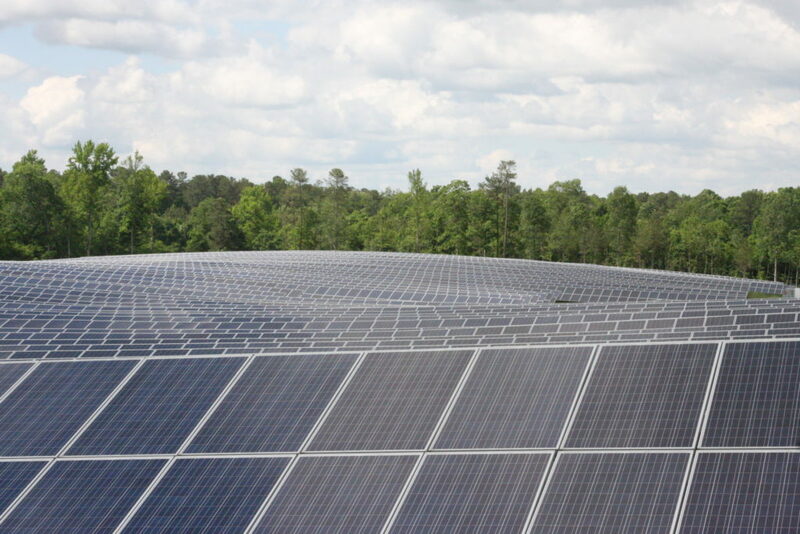 A 20 MW solar project in Maryland cost $2.1 million to remove after recycling revenue. Because of those steep costs, Goreham recommends landowners get a decommissioning plan in writing from solar companies stating they will be responsible for all removal and land reclamation. But the solar industry has its friends in the General Assembly. Rep. Bob Steinburg, R-Chowan, opposed Dixon’s environmental study bill, saying it was “very puzzling.” Republicans historically are champions of personal property rights and a business-friendly regulatory climate, he said. Researching potential environmental concerns makes it appear the solar industry is irresponsible. But Millis said some solar companies have negotiated 15-year property leases with landowners, after which they transfer ownership of the facilities to the landowner. The companies sometimes claim solar panels will last 40 years, and they don’t warn about costs to dispose of the tons of aging materials after they degrade below profitability. “I haven’t seen that anywhere in the world,” Goreham said of the 40-year life span claim. He said a solar panel’s useful life is 20 to 25 years, when it has degraded to about 80 percent of its productivity. Millis said he opposes burdensome regulations but supports proper rules to protect the health, welfare, and safety of people and the environment. Dixon said many of the 37,000 acres of solar panels are built atop what was prime farmland. He worries the land could take years to reclaim for agricultural purposes, and research shows peanuts never could be grown on the land again due to zinc leaking from the installations into the ground. “We really don’t recognize how fragile our agriculture system is,” said Ron Heiniger, a crop science professor and researcher at N.C. State University. Agriculture already is under stress from low prices, and taking land out of production that is needed to maintain an economy of scale could further disrupt the system.